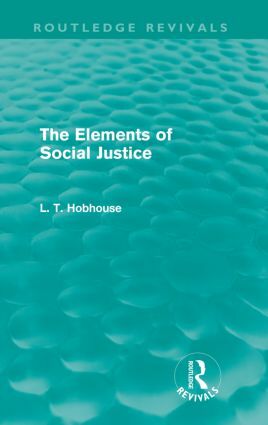 First published in 1922, this title written by L. T. Hobhouse, British politician and one of the leading theorists of Social Liberalism, is a seminal work concerning the social application of ethical principles for the common good. The object of the book is to show that social and political institutions are not ends in themselves. Hobhouse argues that the social ideal is to be sought not in the faultless unchanging system of an institutional Utopia, but in the love of a spiritual life with its unfailing system of harmonious growth unconfined.